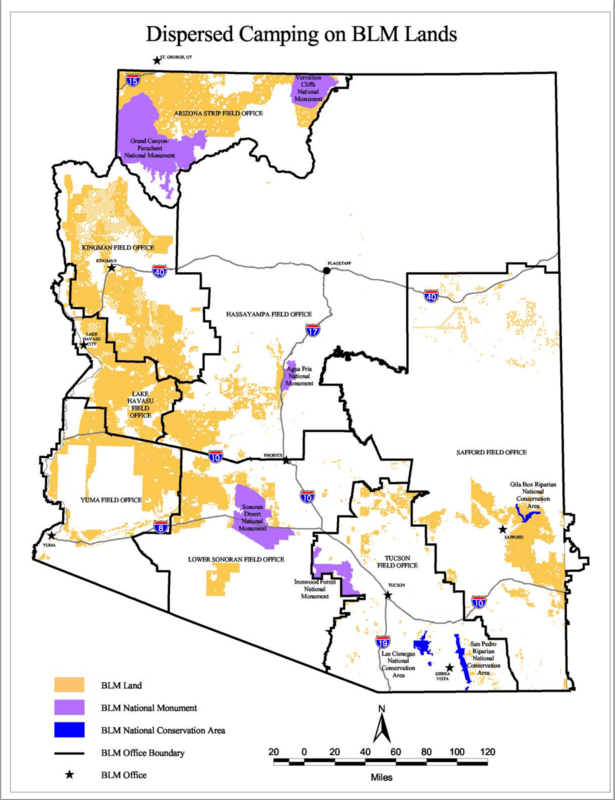 Nice PDF map of BLM camping land in Arizona. You can also goto the BLM website for more info here on camping in AZ. PDF Link. In the initial stages of planning a primitive Camp trip in Arizona, in March. We only want to make camp off-road, not in any kind of Campground. Should we start with national forest or BLM recommendations? Got to start somewhere. BLM camping in AZ tends to be more desert/low elevation areas. National Forest is higher elevation. In March you will be able to do either but BLM will be a little warmer. AZ is a pretty big state. Where are you coming from? Are there any areas you are interested in seeing?